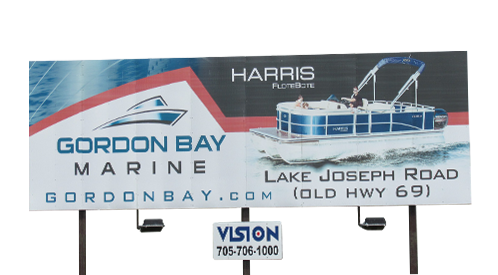 Vision was purchased by Stellar Outdoor Advertising in August 2016, expanding our reach to the Muskokas, Huntsville, and Lake of Bays area and adding an additional 106 billboards to our inventory. Started 10 years ago by local entrepreneur, Kevin Boyes, Stellar and Vision keeps his promise to provide outdoor advertising solutions on highway billboards throughout central Ontario. We cater to local businesses, small or large, that want to have outdoor advertising billboards to promote their business. Whether you need Muskoka billboards, Gravenhurst signs, or billboards in any of the surrounding areas, we can help!